The Flint Journal today confirmed something we wrote about back in March, the impending departure of Flint’s top prospect for the class of 2012. Javontae Hawkins will be leaving Flint Powers to attend Huntington Prep in West Virginia. The thrill of competition drives Javontae Hawkins. The 17-year-old Powers Catholic junior has never settled for tackling a tough situation with a mediocre response or taking the “easy” way out of any legitimate challenge. That desire ultimately led him to make a big decision. Hawkins plans to transfer from Powers to Huntington Prep High School in Huntington, W. Va., to finish his final year of eligibility. Since it was founded in 2009, Huntington Prep has helped nine players land Division I scholarships. I’m having a hard time understanding this. If you go and read the full article, he’s quoted as saying that he wants to prove to people that he can play at the D-1 level. I don’t know who else he needs to prove. He’s already convinced 21 D-1 coaches, many of whom are high major. I’m not certain how that is going to change. He was already at a high school that is consistently ranked among the top in Michigan and, at times, in the nation. I wish him the best of luck because, as many of you know, he’s really a quality kid. I just really hope he doesn’t regret the change of scenery. 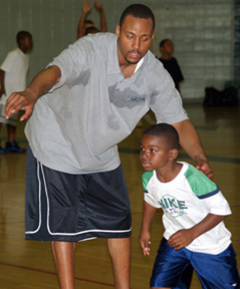 Flint’s Morris Peterson, an NBA veteran and former standout at Flint Northwestern and Michigan State University, will be back in Flint this summer, as always, for his free basketball camp. I actually attended this camp a few years back as a reporter and, I must say, Peterson does a great job with it. He involves many of this area’s top basketball players in the camp, so you never know who might show up. For the past six summers, NBA veteran Morris Peterson has made it a point to school the young “Flintstones”on the game of basketball. This year will be no different. The Flint native will hold his seventh annual “Mo Pete Flintstone Basketball Camp” at Northwestern High School — located at G-2138 W. Carpenter Rd. — on July 12-14. The camp is free for youth ages 8-17 and will take place in two sessions. 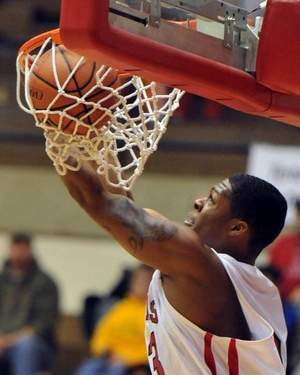 Mott Community College has signed its first recruit for the 2011 class, Richmond (Indiana) senior Jon Trawick. He’s a slasher/scorer with D-1 potential. Mott has a lot of scholarships to give, so expect the signings to come fairly rapidly over the next couple months. 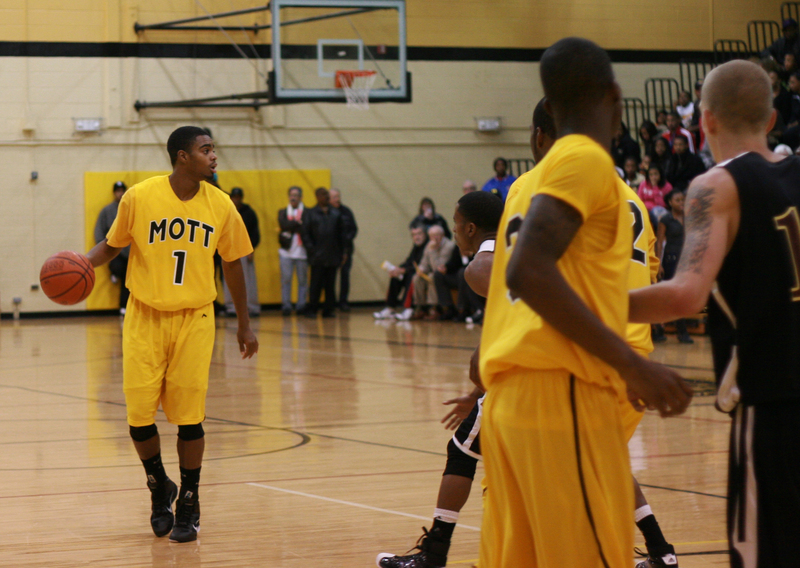 Jon Trawick chose Mott Community College in Michigan for a few different reasons. But, each one of those reasons will ultimately lead, he hopes, to the same place — Division I basketball. Trawick, Richmond’s third all-time leading scorer, made his college choice official Thursday at Tiernan Center, and it’s one of the top junior colleges in the country. “It feels good to finally know where I was going. I was kind of holding out on the decision,” said Trawick, who was a two-time Palladium-Item Player of the Year. “I’m just ready to stay in the gym, keep working out and get through this summer and hopefully make some things happen. 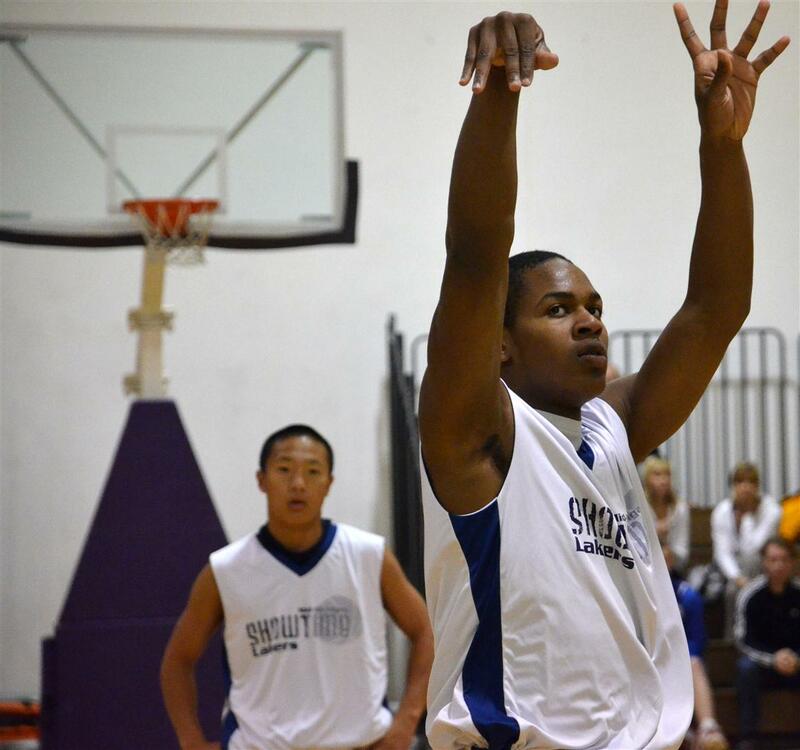 What Trawick has to offer is a multi-dimensional game with room to grow. For the better part of four seasons, the 6-foot-2 wing has been a fixture for the Red Devils, especially when it came to scoring. Trawick capped his career with 1,277 points, trailing only Woody Austin (1,990) and Dominic James (1,652) on the all-time list. TJ Cameron, a fan favorite at Mott Community College, will play out his collegiate career at Northern Michigan University. The 6-foot-3 Mott guard has signed a full-ride scholarship offer with Division II Northern Michigan University, located in the northern Upper Peninsula city of Marquette. “No,” he answered with laughter when asked if he could have ever imagined himself becoming a Yooper. “That was the biggest thing about going up there, thinking about it, ‘Man, going to the U.P.? I don’t know.’ But it was nice, it was nice. And it’s the biggest city in the U.P. Cameron didn’t exactly light up the scoreboard at Mott; that wasn’t his role. He was the Bears’ best defensive player, and that earned for him probably more minutes than any player on the roster. Two other Bears have also signed recently: Doug Anderson at University of Detroit and Mike Brigham at IPFW. LANSING, Michigan— Don’t buy the hype; buy the hyphen. A name you should know for the future has one. Zeshawn Parker-Jones, a sophomore at Lapeer West, absolutely dominated the U-16 bracket at the CDBA Bankhoops Classic in Lansing over the weekend. Parker Jones, a 6-3 forward, scored at will in all seven games for the U-16 Mid-Michigan Lakers (GLH’s home team). He led the Lakers to a 6-0 record before falling to ACB in the championship final. In an 87-point outburst at Lansing Sexton High School against the GR Storm, Parker-Jones had 27 points, 15 rebounds and a dunk. He had five rebounds in the game’s first three minutes. Parker-Jones scored a total of 68 points in the tournament’s final three games. He was named to the all tournament team alongside point guard J.D. Tisdale (Flint Northern) who also had a tremendous tournament. Parker-Jones, along with West’s sophomore point guard Cullen Turczyn, may well be the best guard-forward combination in the Flint Metro League next season. Includes- 3 meals a day, individual instruction, individual skill development, conditioning, 3 v. 3 games and tournament, 5 on 5 games and tournament, workshops on NCAA Eligibility and film review, guest speakers each day (pro athletes, college athletes, college coaches, and high school coaches) to discuss workout tips and what it takes to get to the next level, t-shirt, and daily contest prizes. Held at International Academy of Flint. Contact Tim Tenneriello @(810) 348-6318 for more information. Create a free website or blog at WordPress.com. | The Greyzed Theme.